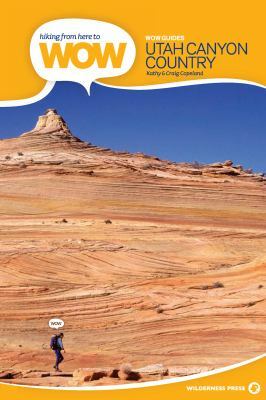 This second book in the new full-color WOW series covers 90 trails in southern Utah's spectacular canyon country that epitomize the "wonder of wilderness." The authors hiked over 1600 miles through Zion, Bryce, Escalante-Grand Staircase, Glen Canyon, Grand Gulch, Cedar Mesa, Canyonlands, Moab, Arches, Capitol Reef, and the San Rafael Swell in order to compile their list of 90 WOW hikes. Coverage ranges from short dayhikes to multi-day backpacking adventures. The book describes precisely where to find the redrock cliffs, slick-rock domes, soaring arches, and ancient ruins that make southern Utah unique. And it does so in a refreshing style--honest, literate, entertaining, and inspiring.